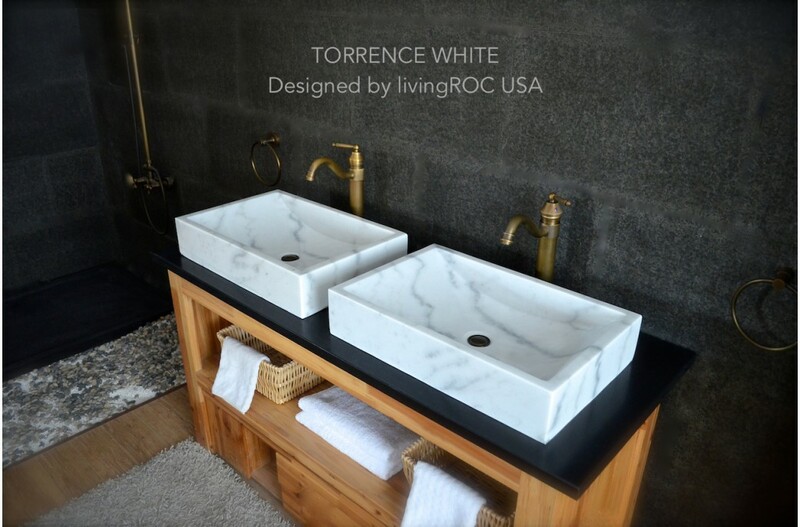 LivingRoc offers calm and tranquility to your bathroom space by bringing the outside in. Discover our unique selection of trendy and ecological products. 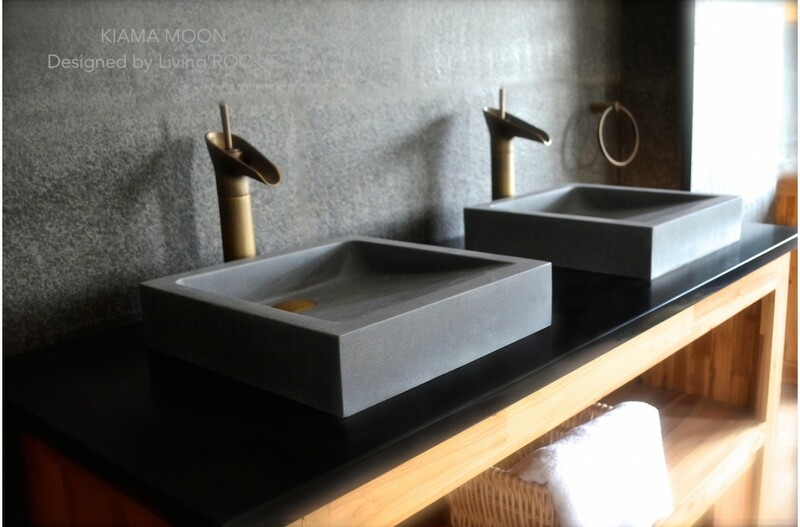 Enjoy our exceptional materals of rare basalt, granite, marble and onyx. TOJI WHITE vessel sink has an exceptional cut that will make your bathroom unique. Natural stone is a option you are sure to love. KIAMA MOON is a gray basalt stone bathroom sink at 16x16. We have chosen the most beautiful stones for an exceptional quality. Our vessel sinks are highly resistant to chipping and scratching. 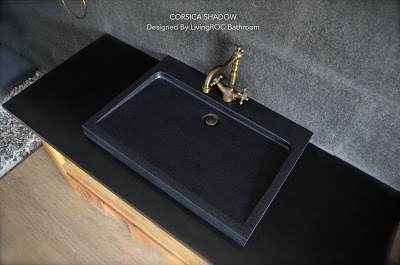 The CORSICA SHADOW is made from genuine Shanxi black granite in a generous size of 27x19x2. This trough sink can bring you size as well as look that is luxurious. 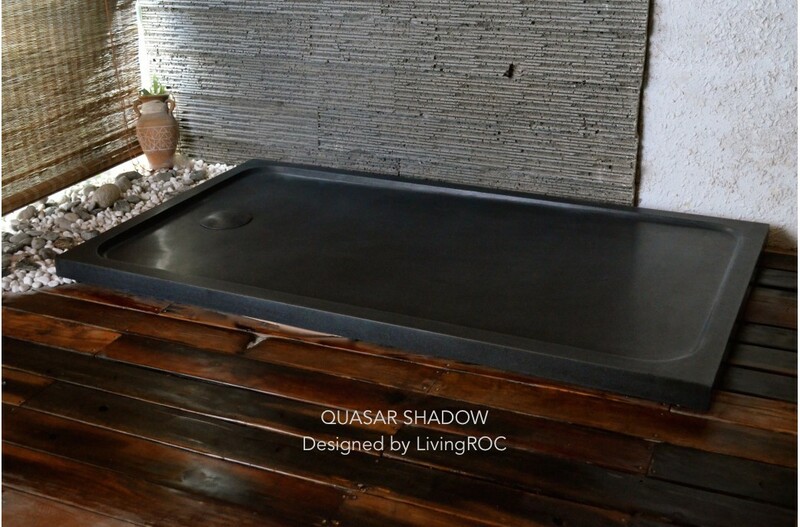 LivingRoc can complete your remodel with an all natural shower bases made from natural materials. 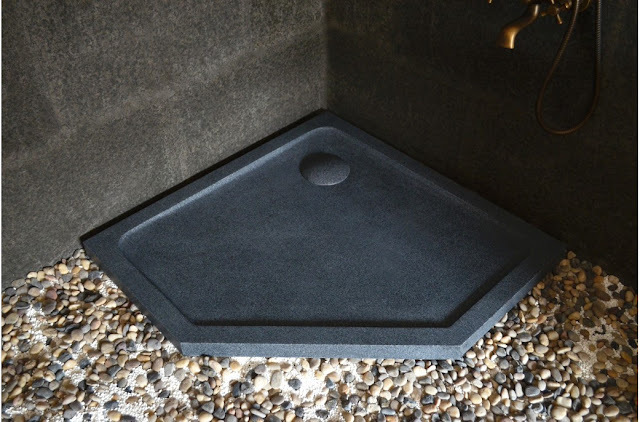 Installing a shower base in Shanxi black or trendy gray granite will transform your bathroom into an oasis of elegance. With many different sizes you are sure to find one that is rite for you. Have a look into our LIVINGROC style where nature meets comfort and relaxation.